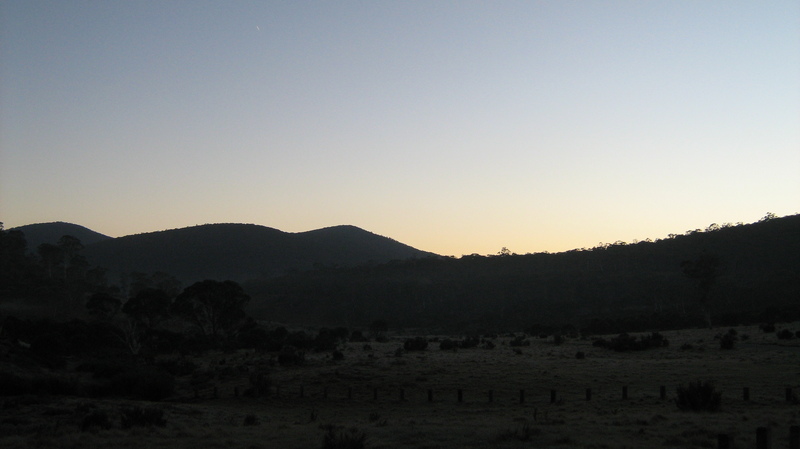 This morning we left Wares Campground at 8:00 am for a 1.5 hour drive to Perisher Valley via Adaminaby and Berridale. 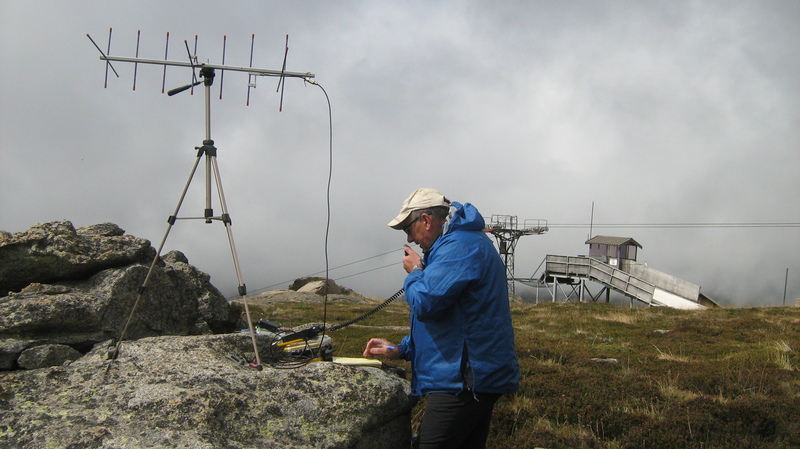 Weather on the summit: 6 degrees C, light winds, cloudy and damp. 🙂 I am now wearing an extra layer of clothes and lightweight rain jacket. Water consumption 2 litres. 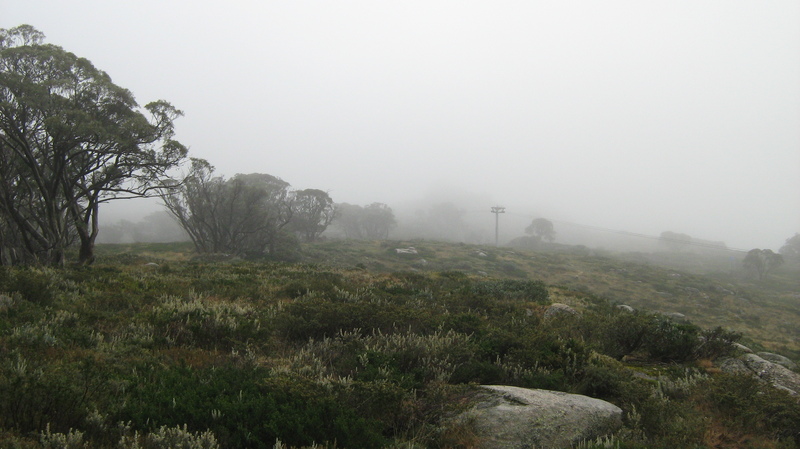 For directions to this summit see my post SOTA Mt Perisher 13 January 2015. 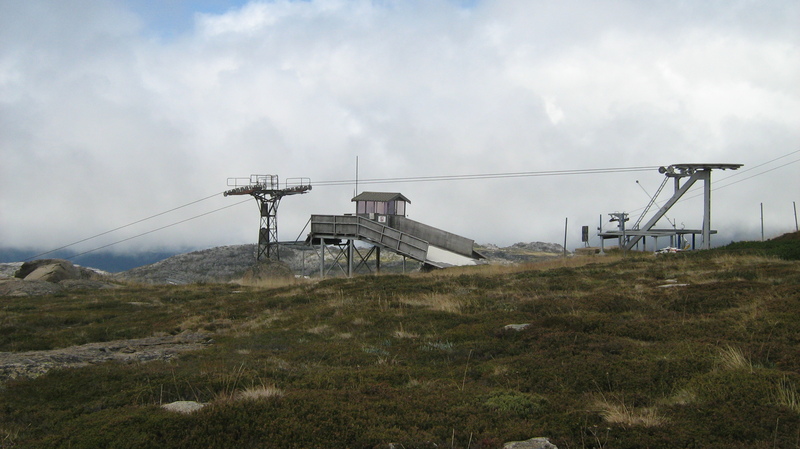 The ascent to the summit is 253 metres over 1.3 km (0.8 miles) taking 45 minutes. 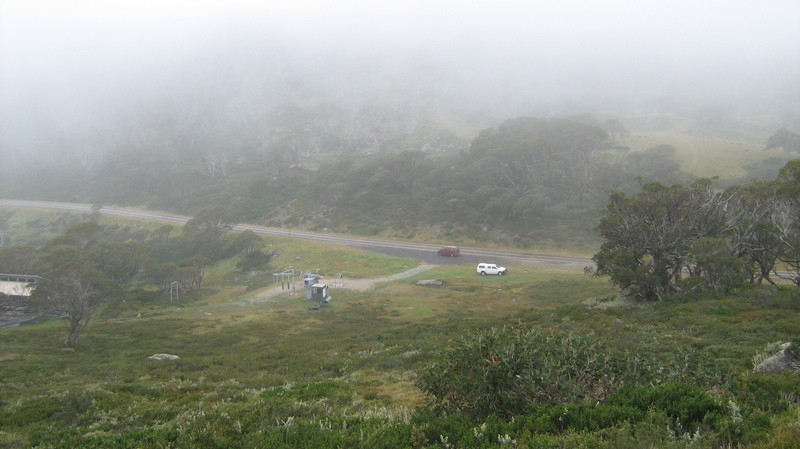 Cool on the summit, clouds descending around us. While Al is taking photos you can see his operating position in the lower right corner of the photo. 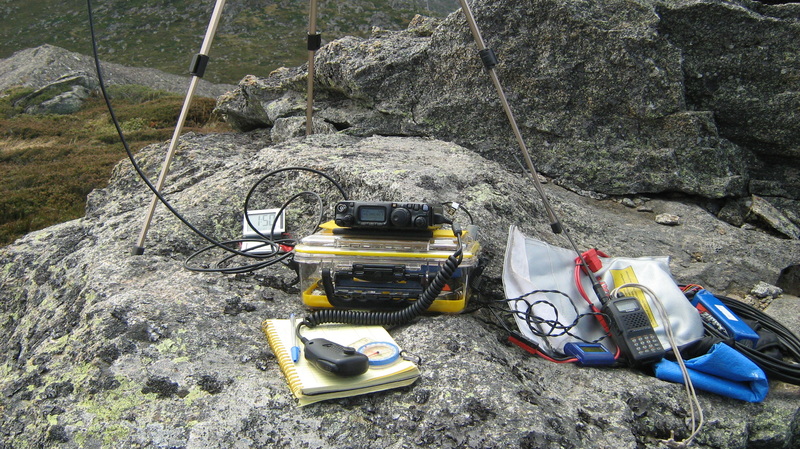 Al’s Icom IC-706 is tuned to 40m, later Al made calls on 20m unfortunately the 20m band was dead. Al took a few minutes away from the HF bands to work a couple of chasers on 2m and 70cm. 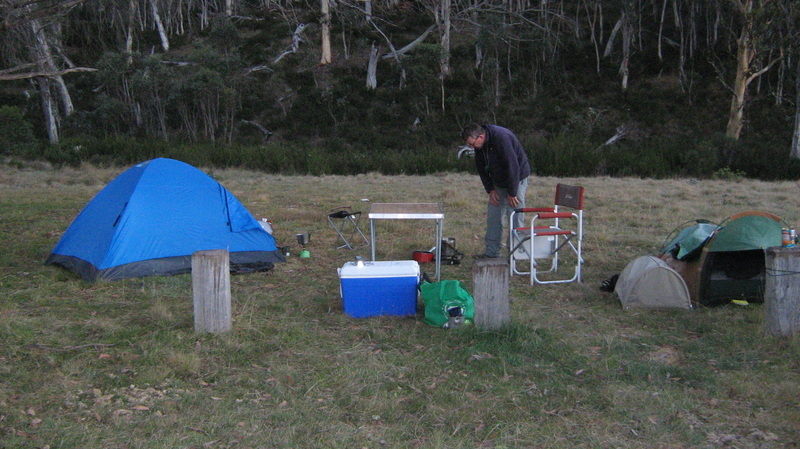 After completing the activation of Blackfellows Hill we headed back to the car at Wares Campground. VK2/SM-036 is a drive-up summit 15 minutes from Wares Campground. Our plan to return to the campground to prepare an evening meal and set up our tents sometime before sunset. Sorry folks, in the hurry to qualify the peak and stay warm, I forgot to take photos of the station set up. Some impressive distances there on 70cm Andrew. Good to see the setups you are using. 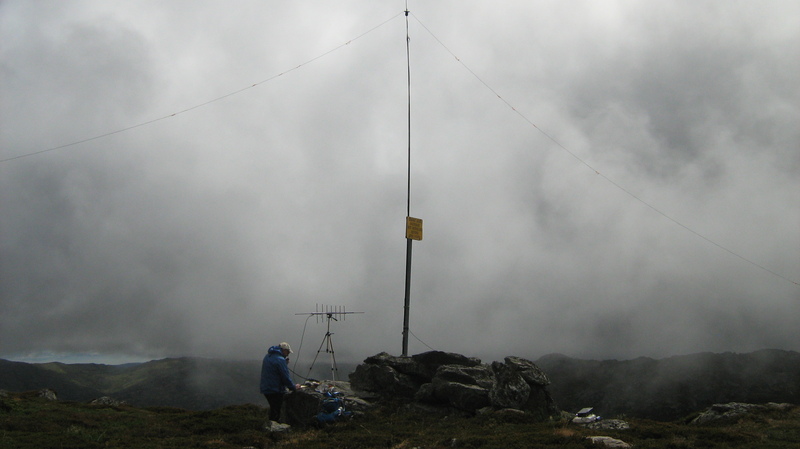 With the abundance of cloud (moisture) is there any precautions or no-go points during your activations?